The lush green of one of Sandra's vineyards in juxtaposition to the more conventionally farmed vineyards on the left. 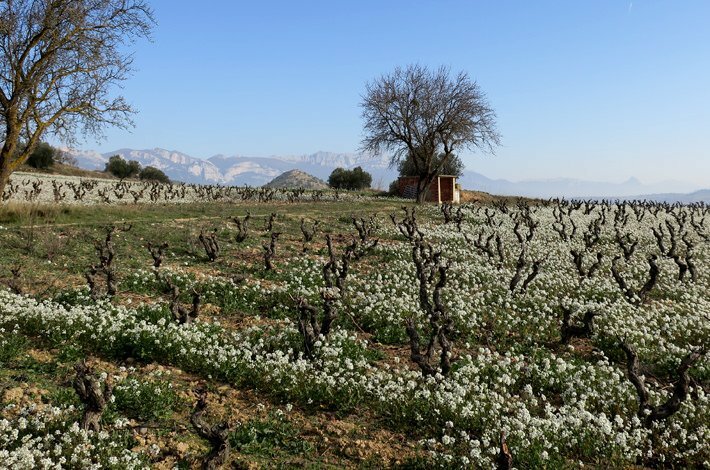 Sierra de Tolono is a small Rioja project run by the dynamo that is Sandra Bravo. Sandra probably doesn’t know this, but it actually took us a couple of years and a couple of visits to find her. After some serious introspection back in 2015 it became apparent that Alimentaria was lacking in the Tempranillo department, a pretty serious oversight for a Spanish importer. As one does in such a situation, we booked some flights and an AirBnB in Logrono and started searching. Unfortunately the first time round, after a week of solid tasting we came back a little underwhelmed. 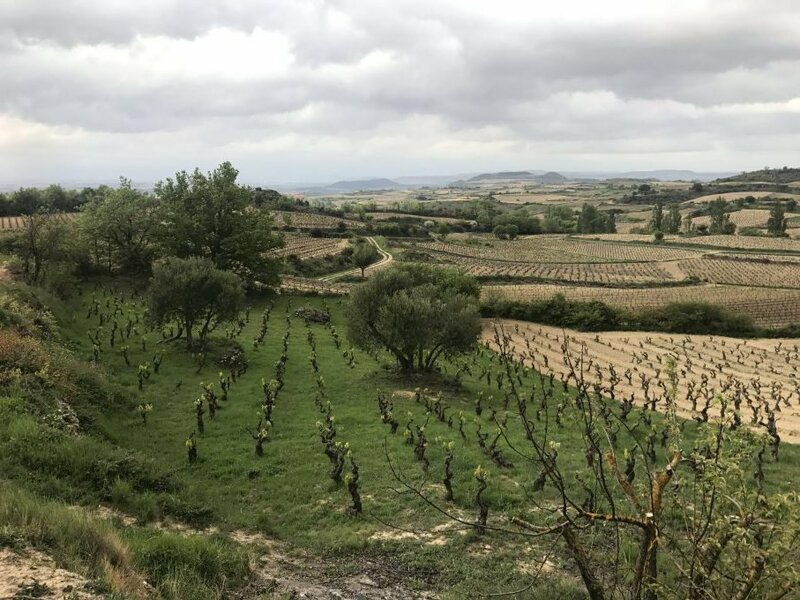 In the majestic landscape of Rioja there’s so many big brands, big egos, big oak flavours and big flashy wineries that it can be hard to find something genuine. And it’s a hundred times harder to find something genuine that’s also good value. It was only on the second trip, a full year later that we met Sandra – thanks to a tip from our friend Arturo of Artuke! 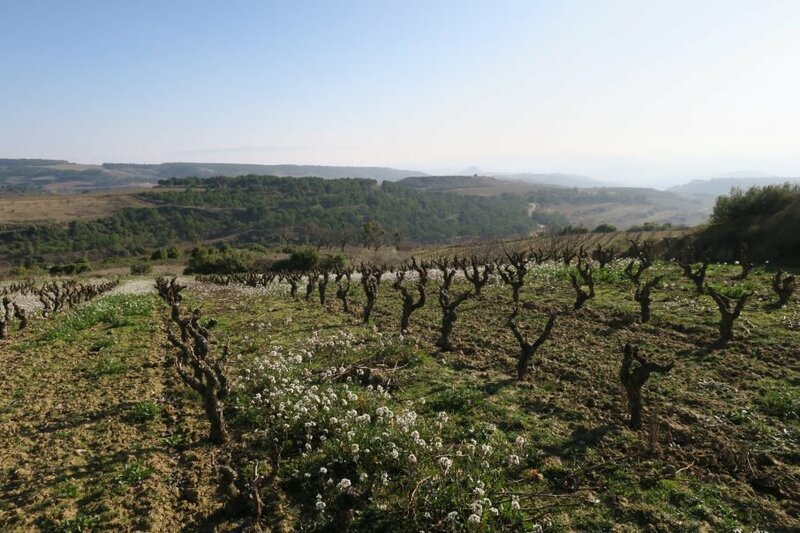 Discovering Sierra de Tolono was something of a revelation after so many disappointing leads – the philosophy that guides her work, the resulting wines and the character of the person behind the project were exactly what we were seeking. As was the incredible value offered by her entry level village wines. Sandra farms organically, eschewing pesticides and herbicides in favour of a wild-looking but immaculately cared for vineyards. She prefers to work with the old untrellised bush vines to the nowadays typical, higher yielding trellised counterparts. 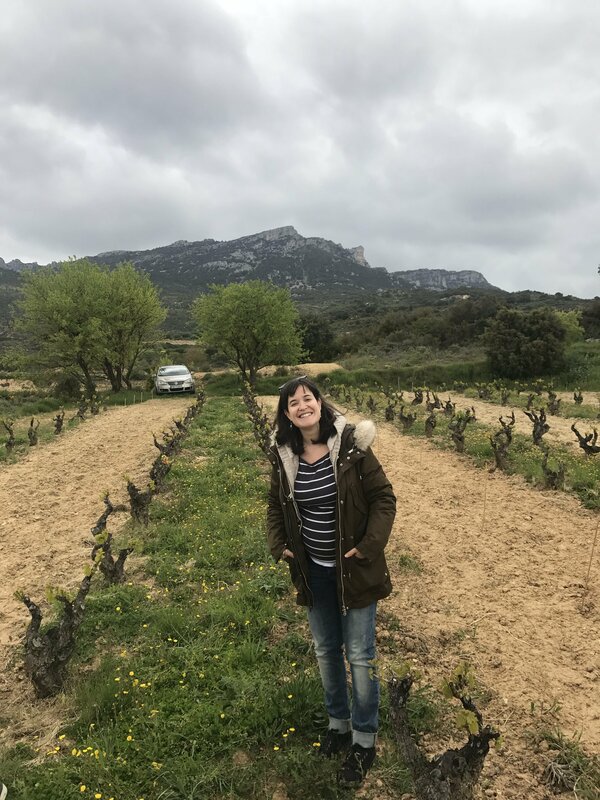 But most of all her wines are terroir-based, seeking to show ultimately the fresh, vibrant characters of her particular corner of Rioja; under the looming mountain range, that is the Sierra de Tolono. Rivas de Tereso - a small village of Rioja that deserves a big reputation.